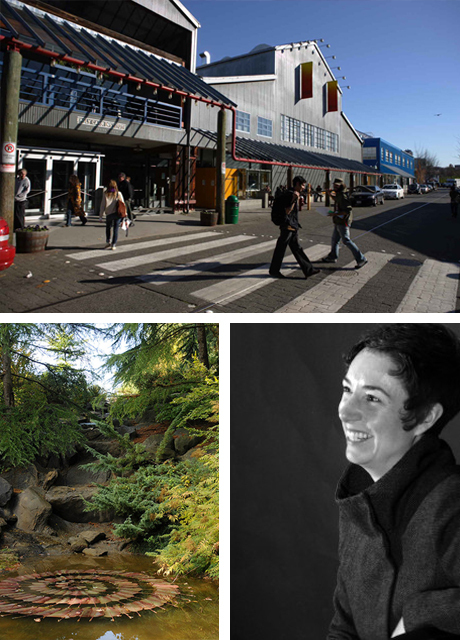 Emily Carr University of Art + Design, established in 1925, is a world leader in education and research specializing in sustainable design and the visual arts. Encouraging experimentation at the intersection of art, design, media and technology, ECUAD's learning community merges research, critical theory and studio practice in an interdisciplinary environment. Alumni and faculty are internationally recognized as award-winning creators and thought leaders who have enormous impact on both the cultural sector and economy. ECUAD engages students, industry, and society to continuously explore and think differently about creativity and how it shapes our world. Hélène Day Fraser, assistant professor, Design and Dynamic Media, is lead investigator at ECUAD on the Local Wisdom project. Her fashion-based work in both Canada and France has moved in recent years to encompass critical design: exploring sustainable consumption and textile form interfaces with technology. Between 2006 and 2011 Hélène was a cofounder of the Vancouver based Intelligent Forms Design Inc. (iF) and a member of the UBC based Visual Voice research team that developed DIgital Ventriloquized Actors (DIVAs). Currently, she is also a lead investigator on several Emily Carr University research projects: DnA, cloTHING(S) as conversation, +++=, a member of the ECU Material Matters group and the Operations manager for the Emily Carr DESIS Lab. Hélène's work consistently re-imagines textile product possibilities and explores art/design-based collaborations.